Compass is a planning tool to support schools when developing their learning and teaching about food and their journey towards sustainability. Populated with ideas and examples from activity in schools from all sectors, it allows users to select items as they browse to create and download a personalised information pack. To use the Compass, just click on the sections you are interested in to browse the examples and ideas. Use the slider to the right of the box to see more. Then click on the Add to Pack checkbox below each item to add items to your pack. Clicking the generate pack button will create a .pdf of your selected items. Before you begin browsing the Compass, have a look at the video resources further down this page. Organised into five concentric circles that pass through four segments, Compass blends areas of focus with features of learning. The five circles represent Keep Scotland Beautiful’s five features of good sustainable development education: iterative; situated; celebratory; self-directed; collaborative. Iterative: Iteration is about opportunities to reinforce the learning. Sequences of experiences and an accompanying dialogue can support learners to relate new information to prior knowledge. How might pupils demonstrate their learning in a new or unfamiliar context? Situated: All learning happens in context. We build our understanding better when the learning is connected to the context. The context should therefore be well considered. In situated learning, learners are able to make sense of the activity/information in relation to their own experience, knowledge, attitudes and values. Celebratory: Celebration can recognise progress. It can also be a means to recognise and participate in or express community, culture and values. Celebration is welcoming and inclusive at heart. Celebration of achievement is best when the measure of that achievement is transparent and well understood. Self-Directed: Self-Directed learning describes students’ engagement in their own learning where they manage and monitor their own capacity of knowledge building and acquisition of skills. Pupils can execute different strategies for learning and also know when to use them. Self-direction works in harmony with external direction e.g.by a teacher, with fluid transitions between them. Collaborative: Collaborative learning supports the social character of learning. Social interactions can provide knowledge building through negotiation and cooperation, as well as shared reference points for future iteration. These films (click the name) were created to show examples of organisations and roles where you may be able to seek help or advice. Duncan Booker: Sustainable Glasgow Manager, Glasgow City Council. Mark Irwin: Principal Officer, STEM Innovation, Glasgow City Council. Dugald MacGilp: Assessment and Development Officer, Keep Scotland Beautiful. Chris Vickers: Waste Minimisation Assistant, North Lanarkshire Council. South Seeds: Robin Ashton, Community Engagement Officer and Lisa Peebles, Operations Officer at South Seeds, Glasgow. Claudio Celino: Owner, Celino’s Trattoria & Delicatessen. These three films illustrate some key concepts to help guide your planning and development. 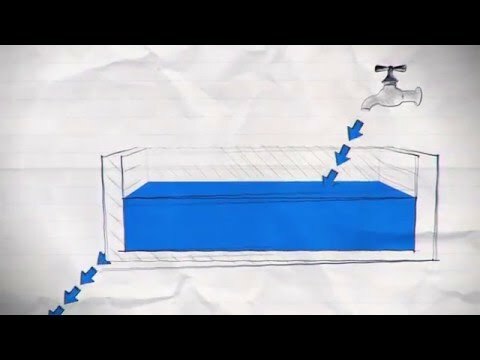 This animation uses a Leaky Tank as a model for the flow of greenhouse gasses into and out from the atmosphere. The Magic Fridge tells the story of attitudes that can drive sustainable or unsustainable use of a resource. Inspired by Garret Hardin’s ‘Tragedy of the Commons’, it offers thoughts on sustainable business options. Starring pupils from Shawlands Academy. Visible Values is about values based approaches to learning in schools. Busby Primary School, explains how their values are transparent and central to food experiences and learning in school.